We use a variety of techniques to help you regain and maintain your health. Each technique has a specific strength. While our primary focus consists of hands on techniques like Cox Flexion Distraction, we believe Diversified care is most effective. The techniques we use on you are chosen with your physical and emotional needs in mind. Those who have heard horror stories of chiropractors cracking and twisting bodies will be relieved to know that we have techniques that don’t involve either. The Impulse™ Neuromechanical Technique enables us to perform adjustments without cracks, pops or twists! Sometimes our patients receive passive care. That means we do most of the work for you. 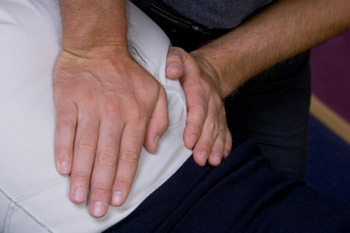 These techniques include hot and cold packs, ultrasound, spinal decompression and massage therapy. Other times, you are a vital participant in your care. Active techniques like core strengthening, balance training, toning and physical training require you to exert yourself for the sake of healing. Call our Tampa chiropractic office and request an appointment today to take the first step to better health.